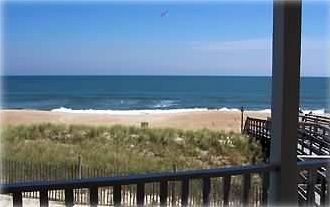 You'll be surprised how close to the beach you are in this adorable & affordable unit with ocean views. 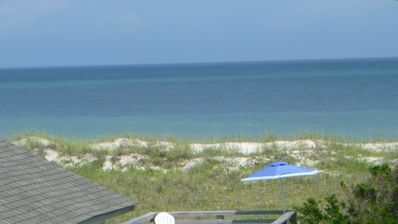 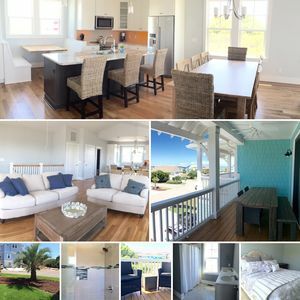 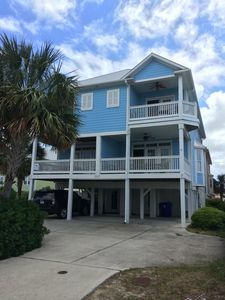 Enjoy the ocean breeze from the patio, or walk just feet to any one of the three beach accesses close by (one literally right across the street), or stroll around this quintessential beach town (and enjoy the genuinely friendly people), or enjoy a cold drink by the pool at the end of a relaxing day on the beach. 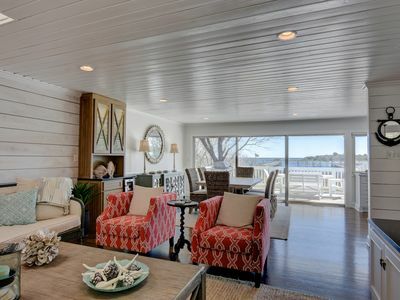 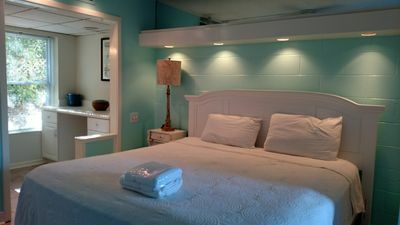 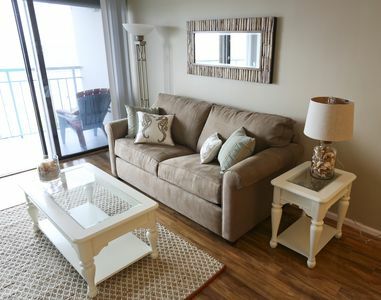 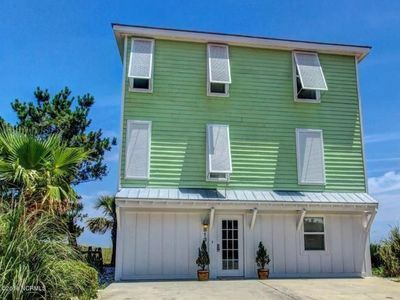 This delightfully and brightly decorated unit is the perfect affordable getaway for a couple or a small family. 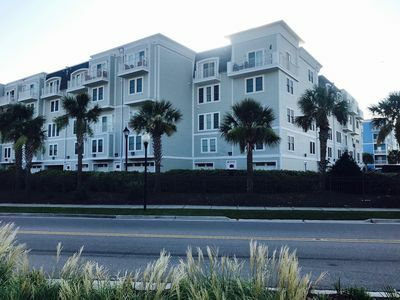 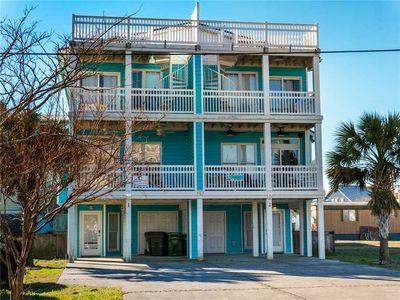 If you're into surfing, this condo is the place for you as some of Carolina Beach's best waves are just across the street. 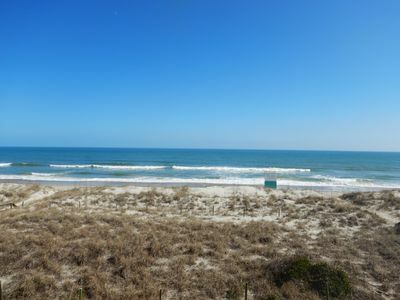 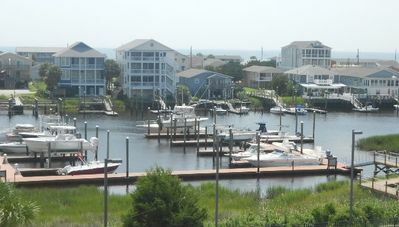 Enjoy the local restaurants, water sports, historic sites, the North Carolina Aquarium, state parks, beautiful Wilmington or even a short drive to Myrtle Beach, S.C. 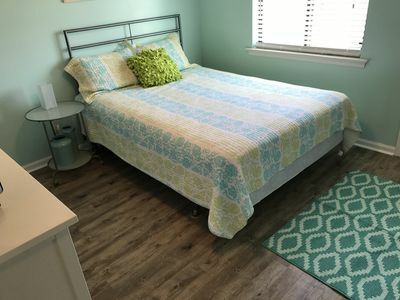 The unit also has brand new flooring (as of April '17), a terrific range, microwave and hot water heater, hairdryer and the rest of the appliances are updated as well. 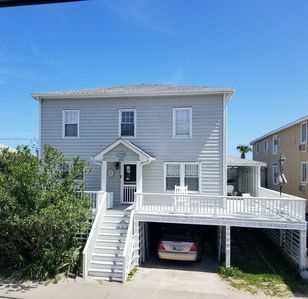 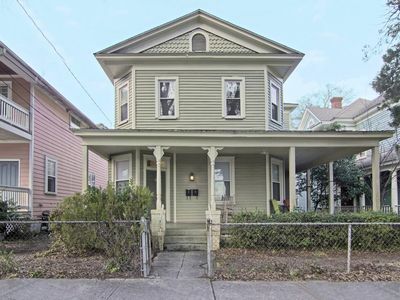 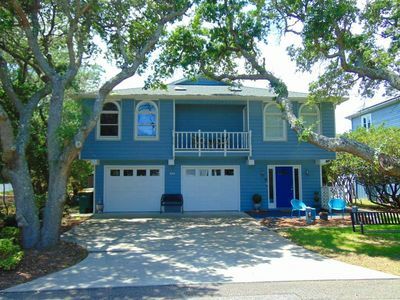 Historic Oceanfront Cottage Near Downtown Carolina Beach! 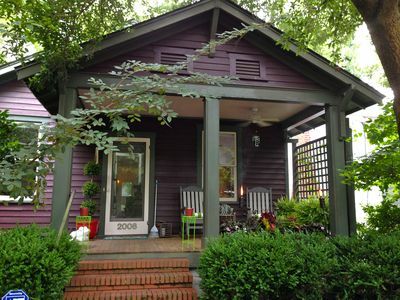 Arts and Antiques flat - sleeps 4! 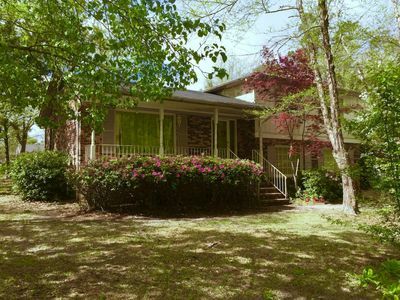 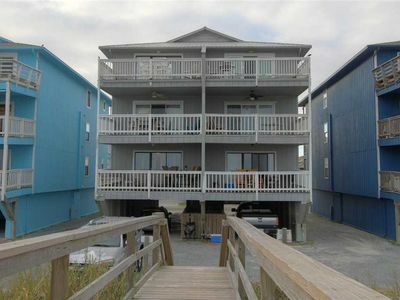 Excellent Location, 1 block to the beach, easy walk to restaurants & shopping. 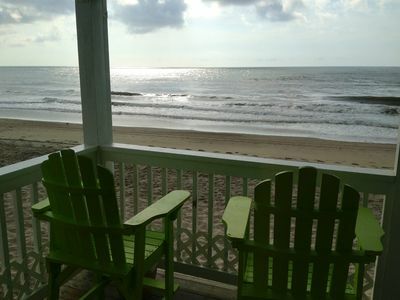 Let the sound of the waves carry your troubles away! 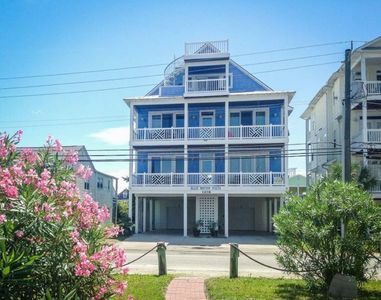 Ocean views, Pool & WIFI!